A pile of firecracker toys! 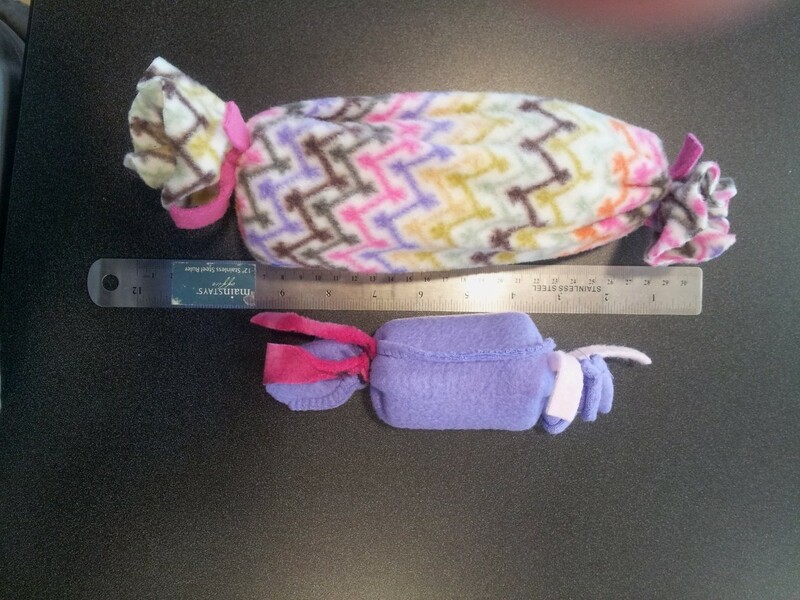 Big and little firecracker toys with a ruler for sizing. 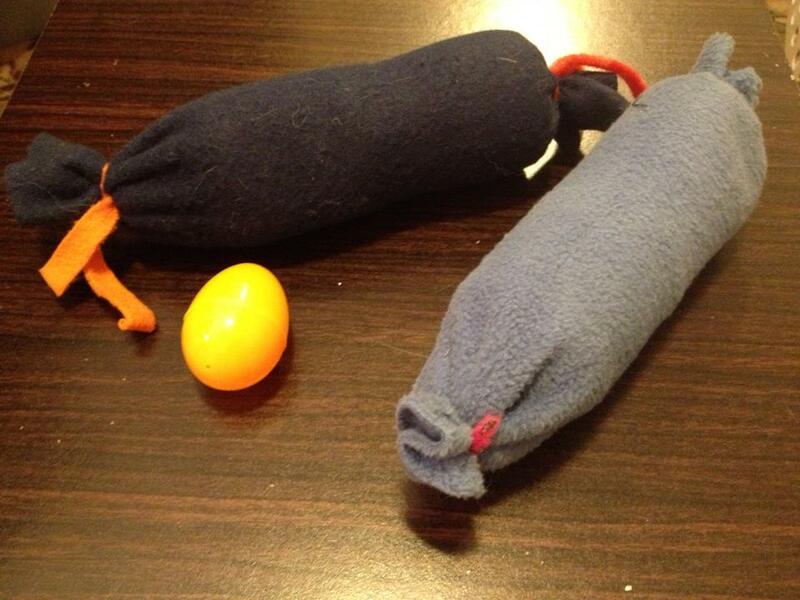 Big firecracker toys with an easter egg for size comparison. 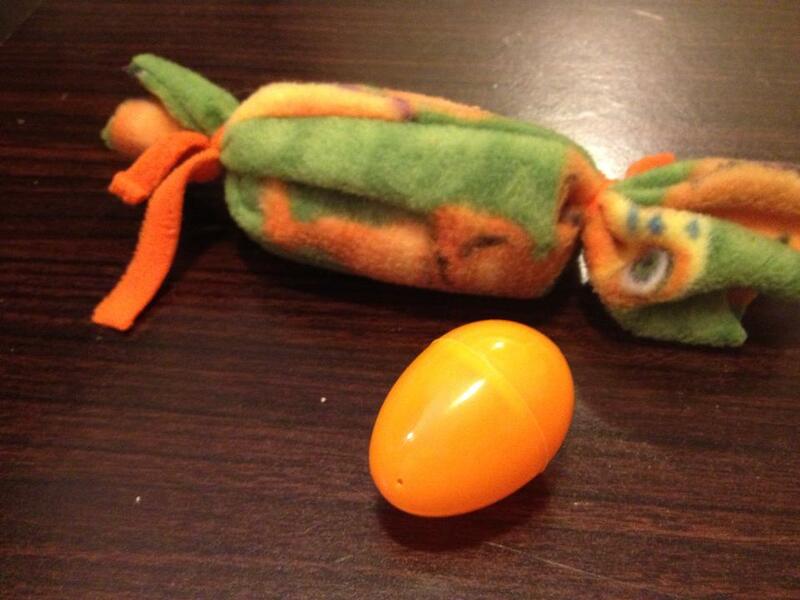 Little firecracker toys with an easter egg for comparison. 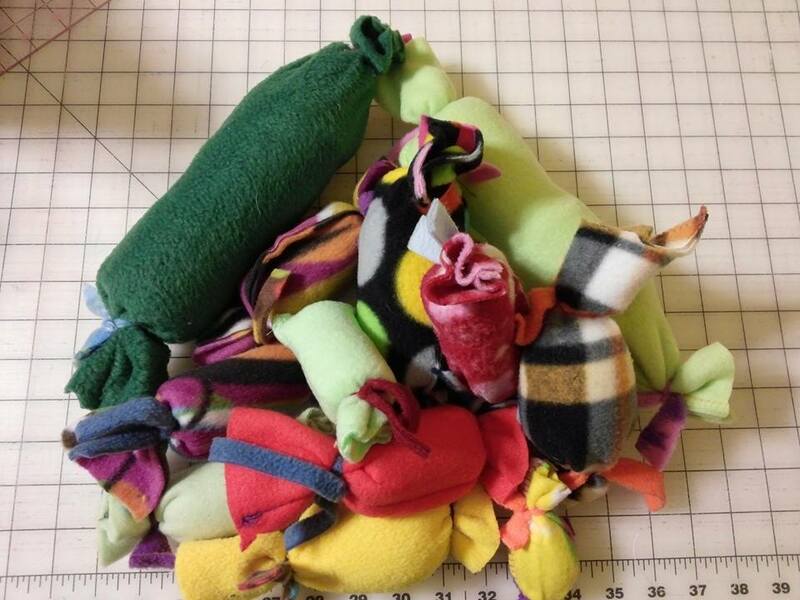 Ferrets love these little fleece covered rattle bottles. Clean pill bottles or water bottles are filled with all sorts of wonderfully noisy objects then covered and wrapped securely with fleece to create this wonderfully little toy. Please allow us to select a toy for you, although you may pick the size and suggest colors, and we will do our best to match it. BJ Kirk has taken on the toy challenge, as he is the maker of these fabulous toys. Please contact him at the following e-mail instead of Florence. Cost will be $1 - small size, $2 - large size, and shipping $6.00. The more you purchase the better for you — shipping to stay the same. His email is ferretcrackers@gmail.com if you would like to purchase a toy. He has a paypall account as well to make payment easier.